1) On average, women all over the world sleep about 30 minutes longer than men. 2) Dutch women get 8.4 hours of sleep each night, which is the highest in the world. 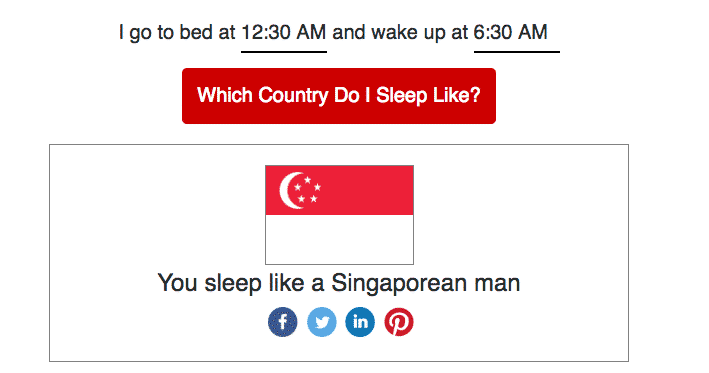 3) Singapore Men sleeps lowest in the world. I used to sleep exactly 5.5hrs every day, now for a while, I am sleeping about 6hrs, where my target is to reach 6.5hrs. Adequate sleep is very important. If you have sleep deprivation for a long time, it will directly impact your creative capacity and memory function. And oversleep will not only make you lazy, it will cause tons of health issue.